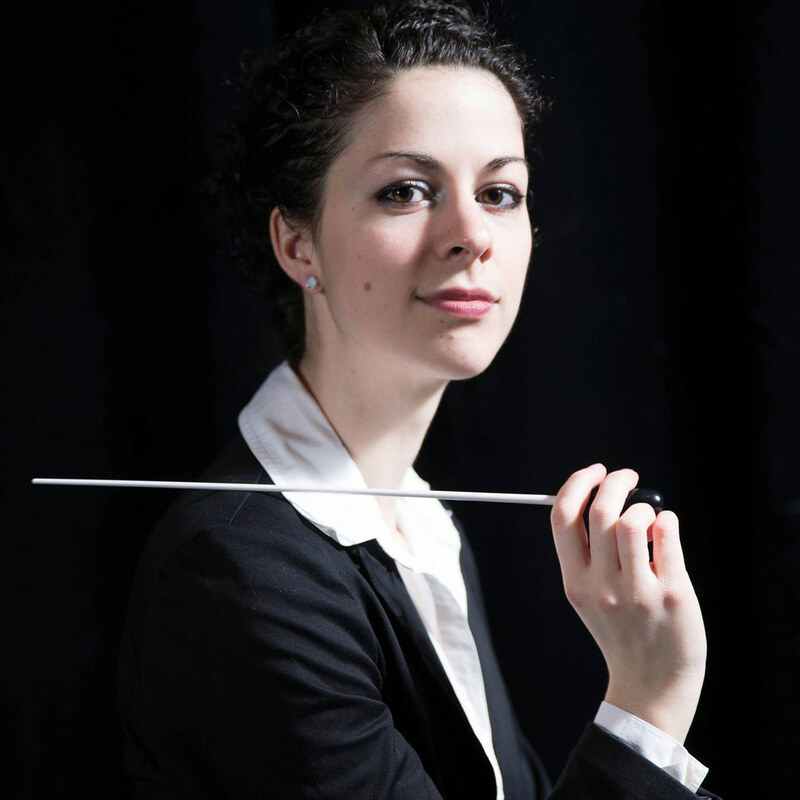 Recognized for her energy, musicality and charisma, French Canadian-born conductor, Alexandra Bourque, is the assistant conductor of the University of Toronto Wind Ensemble - an ensemble focusing on contemporary repertoire and the performance of works by emerging Canadian composers. She is also the founder and artistic director of the University of Toronto Brass Ensemble and is currently working with the Toronto Community Orchestra as their assistant conductor. In addition to her numerous performances, Bourque has been chosen to work with Orchestra Toronto for their upcoming concert in April. Ms. Bourque is known for her versatility in the musical world. As a violinist and trombone player, her experience extends to both wind bands and ensembles, as well as symphonic orchestras. Prior to attending the University of Toronto, Ms. Bourque was the assistant choir director for the DOXA Choir in Terrebonne from 2012-2014, the assistant conductor for the Cercle Philharmonique de St-Jean in 2014-2015, and the student conductor for the 2014 Denis Wick Canadian Wind Orchestra. Ms. Bourque has had the opportunity to conduct the McGill Wind Symphony, the McGill Beethoven Orchestra, the Ensemble à Vents de Sherbrooke (EVS), the Royal 22e Regiment, the Orchestre à Vents Non Identifié (OVNI), and the University of Toronto Symphony Orchestra. She has participated in music symposiums across Canada and has been chosen by the University of Michigan and the New England Conservatory in Boston for their summer conducting programs in 2016. She has studied under Maestros Uri Mayer, Alexis Haüser, Alain Cazes, Dr. Jerry Luckhardt, Dr. Rob Taylor, Dr. Michael Haithcock, Dr. Charles Peltz, and Mr. Frank Battisti. Ms. Bourque is also recognized as an acclaimed pedagogue in the musical scene. She has been teaching violin at the University of Toronto, the Collège Régina Assumpta, Le Jardin des Violons, and in her private studio. She has also been working as a music specialist for many French and English school boards in the province of Quebec. Ms. Bourque holds a Bachelor of Music and a Bachelor of Education from McGill University with distinction, and is completing a Masters in Music in wind orchestra conducting at the University of Toronto, supervised by Dr. Gillian Mackay. She is the recipient of five scholarships from McGill University, and the Al Mercury Scholarship from the University of Toronto. Most recently, she received the prestigious Women’s Musical Club of Toronto Foundation Graduate Fellowship for the 2016-2017 academic year. Alexandra Bourque: "It is such a rush of adrenaline."